This is Part Two of my list of my favorite rock album covers of all time. Before I get back into my list, I want to thank the two fans/friends so far who have let me know some of their own favorite album covers. Patrick Myers of Sebec, Maine chimed in with one of his, the not-so-tame cover of Herb Albert's Whip Cream and Other Delights. Tammy Michniuk of San Diego gave me over 100 of her favorites, including Wish You Were Here by Pink Floyd, The Beatles' Sergeant Pepper's Lonely Hearts Club Band, Blind Faith's self-titled album, The Grateful Dead's Anthem of the Sun, Nevermind by Nirvana (which quite curiously does not make my Top 50 list), both the Rolling Stones' Exile on Main Street and Some Girls, Supertramp's Breakfast in America (which just missed my list), and every single album cover designed by artist Roger Dean, who designed over 100 covers himself. Curiously enough, according to Wikipedia, Dean designed no fewer than 24 album covers for Yes, but DID NOT design the cover of theirs that made my list, for 90125. That cover, as Dave Nicholson of Saco, Maine correctly points out, was designed in 1983 by Garry Mouat on an Apple IIe computer. Steve Jobs even helped make awesome Yes album covers. Whaddaya know. Huge thanks to Patrick, Tammy and Dave for your awesome contributions. I said this in Part One, but to remain clear on it: I am not claiming that this is some objectively-determined list. This is purely from me, thinking back from my childhood all the way to today. They’re the ones I, Collin, like the best. That’s it. So here is the second grouping on the list, starting with #45 and going on up to #41. Christian McNeill is an insanely talented Irish dude who formed the alt-rock band Schtum in the 1990’s. 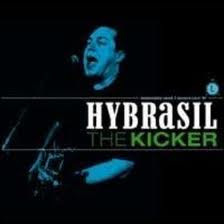 Schtum had one hit off that album on alt-rock radio, “Skydiver.” After a while Christian moved to Boston and formed the band Hybrasil. The Kicker was their second, and I believe, final, LP. 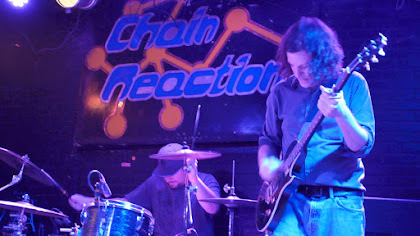 Last I heard, Christian was with a band called Christian McNeill & The Seamonsters, still kicking around Beantown. This cover is based off a photo of the frontman himself. I just love the style and colors. Looks as cool as this record sounds. One of the earliest covers on my list, this is one of the many albums my dad played constantly when I was a little kid. 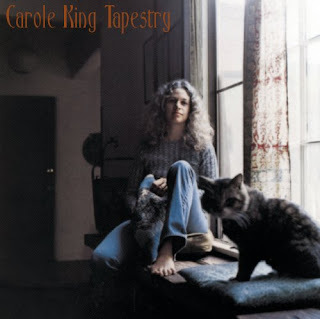 As a songwriter, I feel like Carol King is to me like Mother Mary is to devout Catholics. She’s hands-down one of the best rock songwriters, ever. I love this cover because it has always made me feel like I know her a little bit, like she’s welcomed me into her apartment for a private little concert. The 1970’s feel is also unmistakable, and here, that is a very good thing. 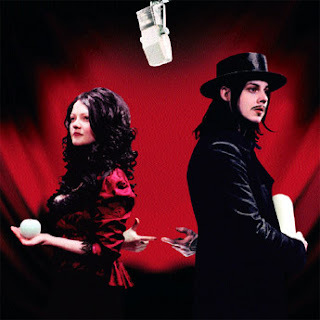 Jack and Meg White are each pretty cool in their own right, but together as The White Stripes they are one of the coolest things on the planet. Their entire look as a band has been crystal-clear since they burst upon us, and it matches their unique sound perfectly. This cover is my favorite of theirs. It just radiates Cool. 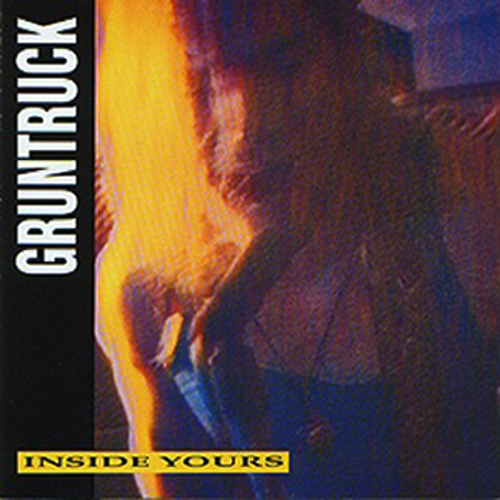 I could – and probably should, someday – write a whole blog about the little-remembered 90’s Seattle band Gruntruck. The most important thing is that their band name is super-fun to say, especially if you say it while actually grunting. They are one of the few bands that made it to some –albeit brief – national exposure that I had the privilege to meet in person for more than a fleeting moment. They are also the only band – as far as I can remember – that invited me on to their tour bus after the show, a thrill I still think about all the time. I assume the visual on the cover is in part a digitized photo of frontman Ben McMillan, who sadly died quite young of natural causes a few years ago. Along with the band name in bold white letters set against a black background, it gives me the exact feel of this record, the first of their two LP’s: loud, raunchy, unapologetically abrasive and totally awesome. I forget which famous stand-up comedian it was, but one once said, “If you were a white, middle-class American family in the 1980’s, you were issued a copy of Fleetwood Mac’s Rumours.” This cover has made the Top 5 or Top 10 of every “Best Rock Album Covers” lists I could find online. For good reason: it’s stunningly beautiful, timeless, and evokes a range of emotions in one glance. 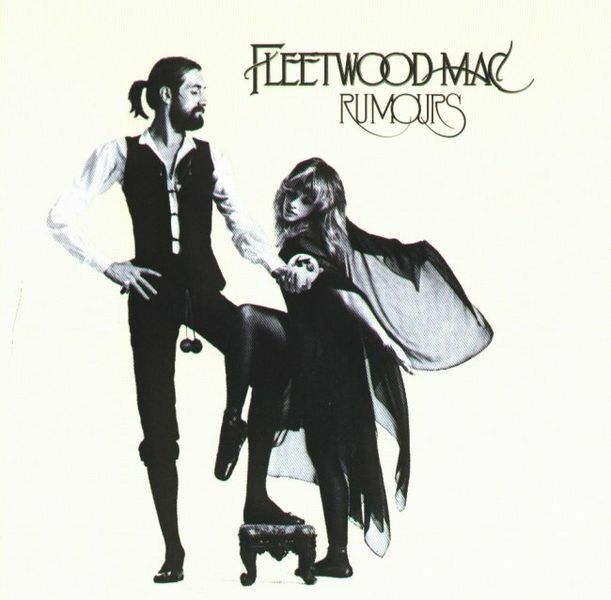 It’s always been interesting to me that the two actual band members posing are drummer Mick Fleetwood and singer Stevie Nicks. If you’ve ever seen them in concert or watched a video of them live, you know that regardless of who may have driven the songwriting in this band, these two are the most likely to have been Theater Majors, had not devoted their lives to music. Next time: #36 to #40, of course! Have a favorite album cover or two of your own? Tell me in the comments!